I went into Bryan Fuller's tv adaption with a healthy amount of skepticism. The show had me hooked by the end of the second episode. Hannibal is a disgusting show. It’s also absolutely terrific. As a big fan of Thomas Harris books and the movie adaption of The Silence of the Lambs, I went into Bryan Fuller’s tv adaption with a healthy amount of skepticism. The show had me hooked by the end of the second episode. Following the developing relationships between Will Graham, Hannibal Lecter and Jack Crawford has been the highlight of my tv viewing this year. The writing is great, the acting superb and the show is more beautiful than anything else on tv, which is a discomforting thing to say about a show with so much blood and guts. 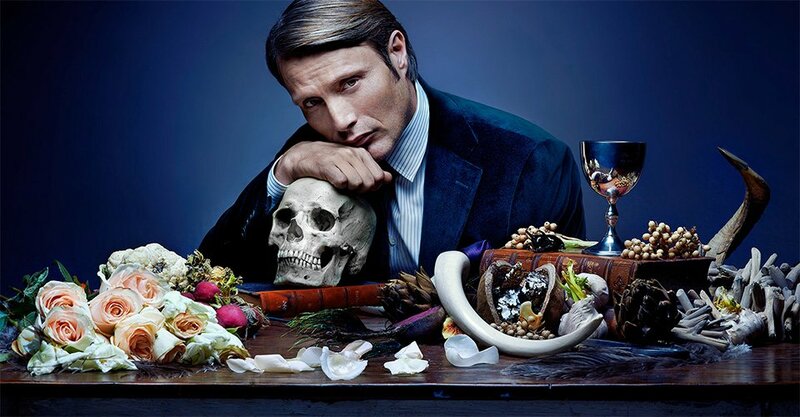 The ending of the second season was predictable enough, but the third season is heading into a section of the Hannibal story arc that hasn’t be extensively covered by Thomas Harris’ books. We’ll find out what happens next in spring 2015. I can’t wait.